Located in the southern part of Spain and on the coast of the Mediterranean Sea. Malaga is the the capital of the popular tourist destination Costa del Sol It is also one of the eight regional capitals of Andalucia. 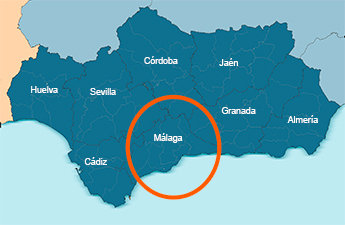 Approximately 570,000 people live in Malaga Province it the biggest southern coastal city in Spain. Malaga is located near Granada and Sevilla, due to its position on the Mediterranean coast it also easily accessible by sea. The weather in Málaga, along with the large number of beaches in the area, make the province one of the most popular places for tourists to visit in Spain.  Apart from the tourism sector, Malaga has the second largest industrial port in Spain and also has an important production of textile and alimentary products. The average climate is 23ºC (73ºF) and over 300 days of sun, makes Malaga a perfect location to grow olives, and other fruits like oranges and lemons. Malaga offers visitors a wide range of things to do and see and the itself city has a unique and rich history. Other than the cultural attractions which Malaga has to offer, the city is also a good place to enjoy life. The climate in the area has over the years attracted both foreigners and tourists a like and it goes without saying that the atmosphere is that of the Mediterranean. People who live in Malaga are called ‘Malagueños’ in Spanish, they are known for going out at nights for a social drink or meal. Having said this the city of Malaga has a large variety of bars, bodegas (wineries) and restaurants. Malagueños are also said to be known for their love of their town, they are also said to be proud of two famous celebrities who were both born in the city, painter and sculptor, Pablo Picasso , and the international actor, Antonio Banderas. 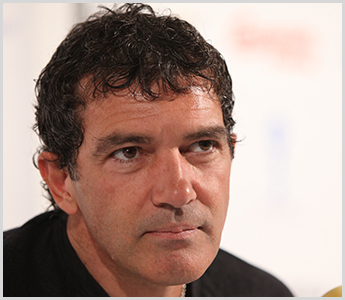 International Actor,	Antonio	Banderas was born in Malaga. Malaga has many interesting towns and cities to visit whilst on your holiday on the Costa del Sol. We recommend you to use our car hire service to travel the roads to look for the best places to visit. Do you need a car for your holidays in Malaga?